All the ingredients in LOVER Raw Chocolate are superfoods. Superfoods are natural plant foods that are exceptionally high in nutrition and therefore provide the body with increased energy and balance. Superfoods have super-charged density and vitality because of all the vitamins, minerals, amino acids, enzymes, fatty acids and more packed into them. They are medicinal, hence transform our health through the balance of nutrients they contain. WHAT'S IN LOVER RAW CHOCOLATE? *An option of added lab verified active Super Human Elemental Wizdom Probiotics. Made with certified organic ingredients. Raw, Vegan, Paleo, GMO Free, Pesticide Free, Gluten Free & GI friendly. Contains almonds. Raw cacao is raw unprocessed chocolate in the form of cacao beans straight from the pod or as nibs/cold pressed powder. Cacao is a nut that contains over 300 compound minerals including; the highest form of magnesium of any food known to man, iron, zinc, potassium, vitamin C, sulphur (the beauty mineral), tryptophan (the love chemical), anandamide (the bliss chemical), phenylethaylamine (PEA, the joy molecule), MAO inhibitor (appetite suppressant), and is one of the richest sources of anti-oxidants. Without sugar, dairy products or heating, the benefits of chocolate reach you in their pure state. The enzymes remain intact and the amazing properties of chocolate are untampered to be enjoyed to the fullest. Raw cacao beans, known as “the food of the gods” were the sacred and favored food of the Aztec and Mayan nobility for thousands of years. The cacao bean has and always will be nature’s number one high energy and weight loss food. Raw cacao is the best kept secret in the entire history of food! Cacao trees sustain rainforests and the wildlife within it so the more chocolate we eat the better it is for our planet. WHERE IS LOVER RAW CHOCOLATES' CACAO FROM? Our 100% Arriba Cacao is derived from pure Heirloom Ecuador Arriba Nacional Cacao beans. 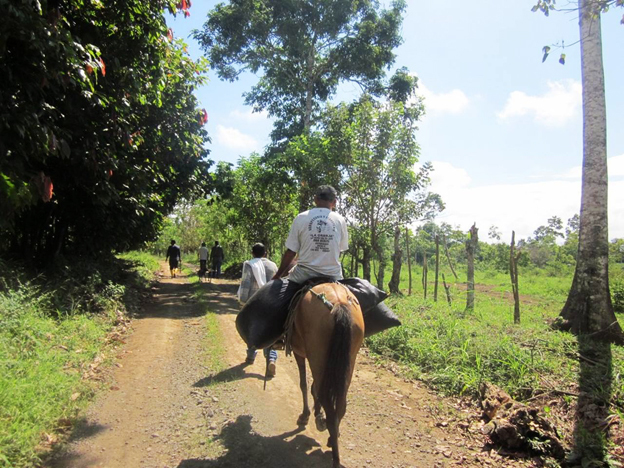 This cacao is grown in high-elevation volcanic soil that is brought down from the mountainous regions via donkey back. 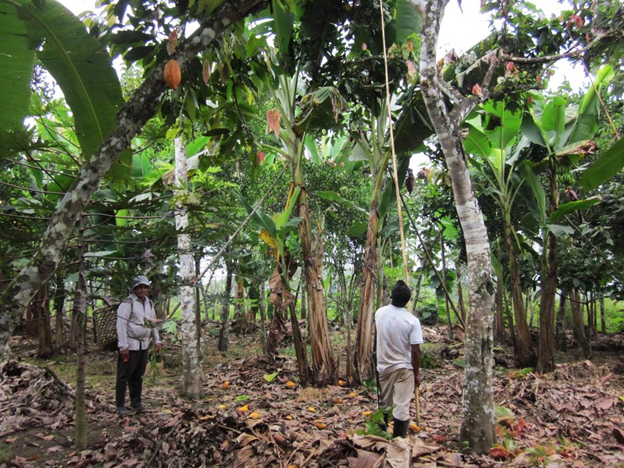 The True Arriba Cacao trees are a minimum of 30 years old, and some have been growing for more than 80 years! We guarantee the purity of our 100% Arriba cacao by selecting the pods personally by hand and we never acquire product from aggregators. There is therefore no possible blending of beans with the CCN51 or other low quality hydrids that are pervasive in the area. The beans are only harvested when they are fully mature and ripe. Because we have such a pure quality cacao bean, you will have zero jitters from this product. There is a complete lack of mycotoxins, mold, yeast, and fungus, which are what cause the adrenal response of jitteriness that is similar to caffeine stimulation in many cacao products. Instead, our cacao beans help to create a cosmic conscious connection and cause pineal gland expansion. They have a deep, intense, raw chocolate flavor. 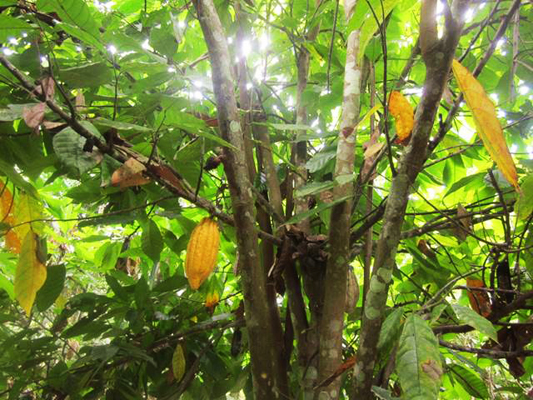 The True Arriba cacao trees are only nourished from rain water or deep mountain spring water. They are never irrigated from potentially contaminated rivers and streams. The cacao is processed in our suppliers own state-of-the-art facility on custom artisan equipment that has never seen any other cacao but our own, so there is no possible integration with lesser quality cacao. The cacao beans are always sun-dried and are never gas dried. 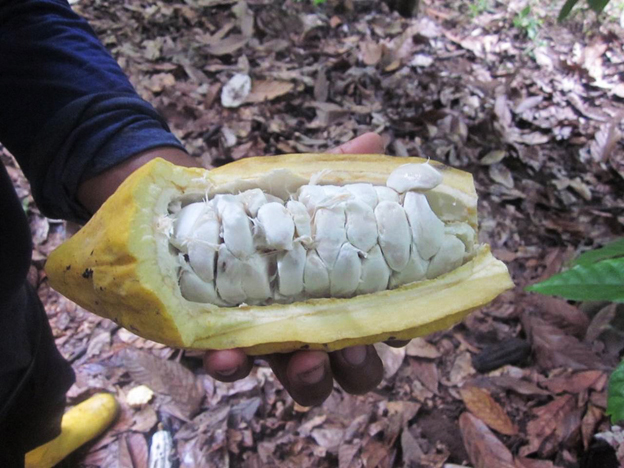 The cacao remains 100% raw from start to finish. This is a true from "Pod to Bar" facility! *All of Lover Raw Chocolates' superfoods / ingredients are of this quality, and help build indigenous communities around the world. WHAT IS PURPLE CORN EXTRACT? Purple corn is a powerful antioxidant which comes from Peru. It is a plant which is greatly revered in Mayan culture; it is said to be the plant of remembrance. It is a very ancient plant, and like eating algae, eating it connects us to our ancient cellular memory. Purple is the colour associated with the third eye, or pineal gland, and we do not get enough purple food in our diet. Taking it in such a pure form as this extract, helps us get the purple ray into our auric field, and makes us feel more whole. There is an ancient Hopi prophecy that says that when purple corn comes to the West, that is a sign that great changes are happening on the planet. For thousands of years, the people of the Andes have soaked Purple Corn to make a refreshing drink called chicha, which is now recognized as a nutritive powerhouse due to its extremely high anthocyanin content. Anthocyanins are the purple pigment also found in our acai powder, red wine and blueberries. CG3, the anthocyanin found in Purple Corn, is among the most potent antioxidants in existence. Anthocyanins are believed to encourage connective tissue regeneration, anti-inflammatory, promote blood flow and reduce cholesterol, stabilize and protect capillaries from oxidative damage, stabilize connective tissue, promote collagen formation, improve microcirculation and help protect blood vessels from oxidative damage. Purple corn extract is created by juicing the purple corn then slowly, at low temperatures, evaporating off the liquid in the juice until this pure powder (antioxidants!) remains. There are different varieties of purple corn, and all of them originated from an ancestral line called “Kculli”, still cultivated in Peru. The Kculli line is very old, and ancient objects in the shape of these particular ears of corn have been found in archeological sites at least 2,500 years old in places on the central coast, as well as among the ceramics of the “Mochica” culture. Like aloe vera, maca is an adaptogen, meaning that it works to support the body wherever it is needed, without any harmful side effects. So like aloe, maca is used by people for many different ailments, or simply just as an immune system booster. Maca is wonderful for increasing energy, strength and stamina. For a start, it is full of minerals, vitamins, and protein, containing many of the essential amino acids, and particularly rich in calcium and magnesium, so it can help to deal with any deficiencies in the diet. Due to its high calcium levels, it's often used to treat osteoporosis and bone density problems. Maca is very popular among both men and women for its ability to balance hormones. So it is often taken by women suffering during the menopause, or with PMT, and it increases libido (it's sometimes known as Peruvian Viagra! ), and helps with fertility issues. It contains plant sterols, the natural form of steroids, and is used by athletes to help improve performance. Because it gives you such a boost, it is particularly helpful for people who suffer from chronic fatigue or are depressed. SAY WHAT? LOVER HAS A NEW SUPER HUMAN PROBIOTIC CHOCOLATE? 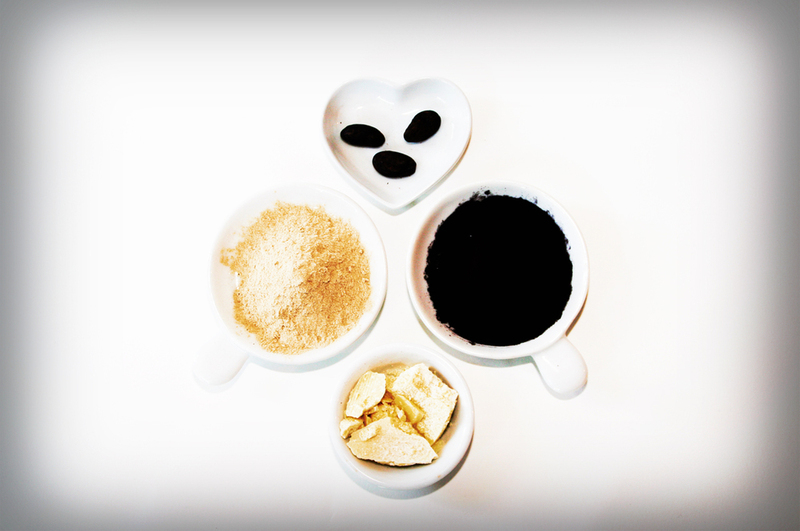 Lover has joined forces with Elemental Wizdom to offer this delicious limited edition treat. Our artisanal formula contains a powerful lab verified active seventeen (17) strain probiotics, it stands alone in boasting fifteen (15) friendly human strains of bacteria as well as two (2) superior strains of L. Sporogenes and S. Boulardii to care for all areas of intestinal function and is suitable for daily use. Probiotics help maintain the natural balance of organisms (microflora) in the intestines and promote a healthy digestive system by inhibiting pathogens, reducing the growth of undesirable bacteria and preventing infections in the digestive tract. Read more about Super Human Probiotics. Ingredients: Specially selected strains of L. Sporogenes, L. Acidophilus, L. Salivarius, L. Brevis, L. Casei Subspecies Casei, L. Fermentum, L. Gasseri, L. Helveticus, L. Plantarum, L. Reuteri, L. Casei Subspecies Rhamnosus, S. Thermophilus, E. Faecium, B. Longum, B. Bifidum., and B. Infantis.